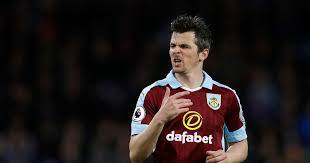 Burnley midfielder, Joey Barton banned for 18 months over betting – Royal Times of Nigeria. Burnley midfielder Joey Barton has been banned from football for 18 months after admitting a Football Association charge in relation to betting. The 34-year-old has been fined £30,000 and warned about his future conduct after being charged with breaking FA rules for placing 1,260 bets on matches between 26 March 2006 and 13 May 2016. Barton plans to appeal against the length of the suspension. “The decision effectively forces me into an early retirement,” said Barton. In a statement on his website, Barton stressed that “this is not match fixing” and that at “no point in any of this is my integrity in question”. He added: “I accept that I broke the rules governing professional footballers, but I do feel the penalty is heavier than it might be for other less controversial players. Players in England’s top eight tiers are banned from betting on football. The former Manchester City and Newcastle player rejoined Burnley in January, having left Scottish Premiership side Rangers in November. Barton admitted the Scottish FA charge of placing 44 bets between 1 July and 15 September 2016, while he was a player at Ibrox.